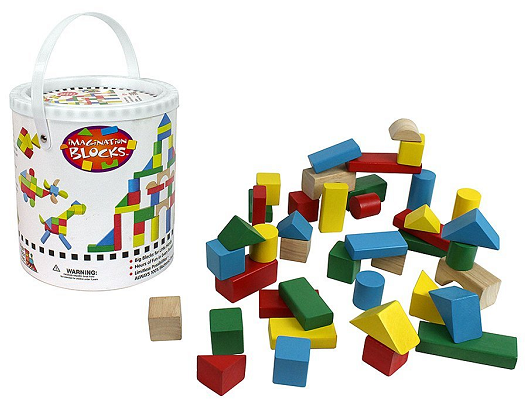 Wood Building Block Set, 42-piece Just $9.99! Have a little one that loves to build with blocks? Get this 42 Pc Wood Building Block Set with Carrying Bag and Container (Natural Colored) – 100% Real Wood for just $8.95 on Amazon. Or, choose the Rainbow Colored Set for $12.95. Super Saver Shipping will be FREE with an order of $35 or more or get FREE 2-day shipping with Amazon Prime.